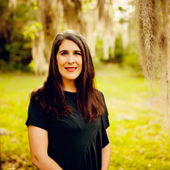 Traci has worked with children and families for over 20 years as a preschool teacher, preschool director and in family social service programs working with at risk teens and young mothers. Her degree is in Child Care and Development. She has been the director of a private preschool for the past 10 years. She is passionate about encouraging parents to lead their families with love. Traci strives to share her Christian values with the families she counsels. Traci has been married to her husband Matt since 1999 and they have one teenage daughter, Reese. They live in rural southeast Texas. Traci is very active in her church where she teaches Bible classes for children. Through her business, Bring Them Up, Traci offers individual coaching, classes, and presentations. Visit her site at www.bringthemupblog.com.